young man, and settled near Joe's Creek. He fathered six sons and two daughters. 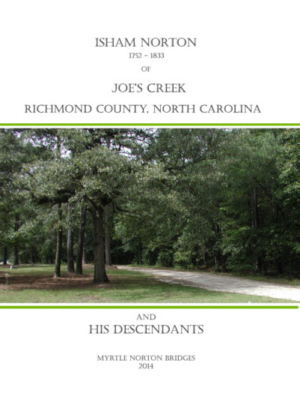 North Carolina, or in the South Carolina counties of Dillon, Marion and Marlborough. Isham, I have drawn conclusions by the "preponderance of evidence."